Clinical Services, which serves mentally ill people from across Maine, will close in June if its budget is not restored. PORTLAND – Portland legislators are leading a push to preserve a state-funded dental clinic in the city that serves more than 3,000 mentally ill and intellectually disabled people across southern Maine. Clinical Services at 63 Preble St. is scheduled to close in June because its funding was eliminated in the 2014-2015 biennial state budget proposed by Gov. Paul LePage. The sudden decision to close the clinic shocked many of its patients, their family members and clinic employees, including its longtime dentist, who has resigned to take a job elsewhere. Rep. Ben Chipman, I-Portland, is among several Portland legislators and others who are sponsoring a bill that would appropriate $1.6 million to keep the clinic’s doors open for two more years. The Legislature’s Health and Human Services Committee will hold a public hearing on L.D. 499 at 1 p.m. Wednesday. Chipman plans to speak at the hearing. When he visited the clinic recently, he met family members of a young man from Fairfield, near Waterville. Like many of the clinic’s patients, who have various behavioral, cognitive and physical disabilities, the man requires sedation and specialized dental care delivered with both compassion and understanding. If legislators decide to restore funding for the clinic, it will be too late for Timothy Towle, who has been the clinic’s dentist for nearly 20 years. Towle has accepted a position at another dental practice, according to members of the clinic’s seven-person staff. His last day will be Thursday. Towle didn’t respond Friday to a request for an interview. 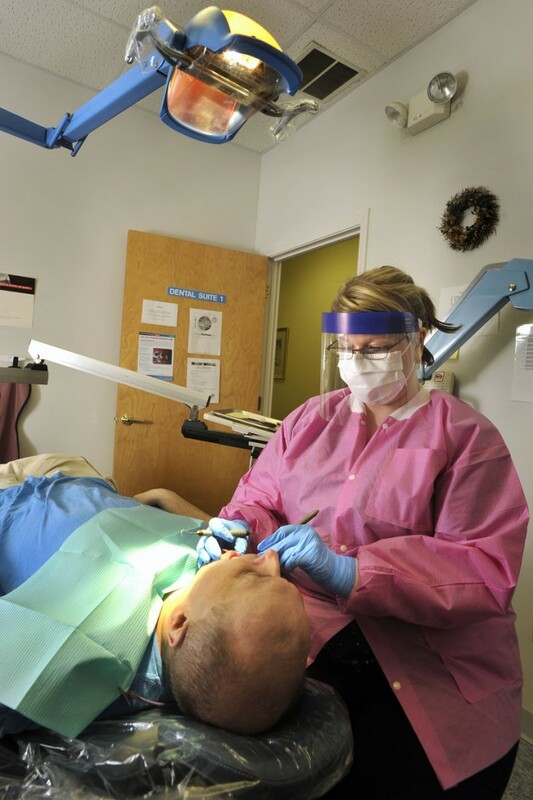 The planned elimination of the $800,000-a-year dental program is among $52 million in cuts that the LePage administration has proposed for the Department of Health and Human Services in a two-year, $6.2 billion state budget that starts July 1. The clinic opened in 1996 as an arm of the Augusta Mental Health Institute to serve patients who moved out of the institution and former residents of the former Pineland Center in New Gloucester, clinic staffers said. When AMHI closed in 2004 and was replaced by Riverview Psychiatric Center, the clinic became an arm of the new facility. The governor and his staff decided to eliminate funding for the dental clinic because it was part of Riverview’s budget, according to a written statement from DHHS spokesman John Martins. However, the clinic’s link to Riverview has filled a dental-care coverage gap for its patients, all of whom receive MaineCare, the state’s version of Medicaid. While MaineCare doesn’t cover routine dentistry such as cleanings and fillings for most people, the clinic can bill MaineCare because it’s considered part of a hospital, clinic staffers said. MaineCare does cover emergency dentistry, which addresses pain or infection, but many dentists won’t accept MaineCare patients because the program reimburses dental care so poorly, clinic staffers said. Sonya White of Scarborough worries that her daughter will be one of those cast aside. At age 70, White has spent most of her life fighting to get proper care for her daughter Sandy, 50, who was born with profound mental disabilities, is nonverbal, has seizures and uses a wheelchair. Sandy was a resident of the Pineland Center for 23 years and now lives at a residential nursing facility in Scarborough. She resists dental care, even gentle cleanings, if she’s not sedated.